The academy’s popular summer music course celebrated another successful year with fifty young musicians involved in a week of music and fun! 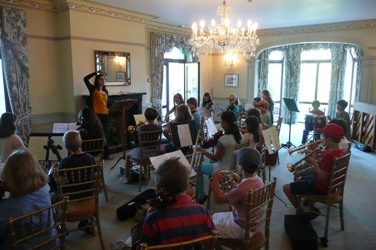 Each morning the music tuition took place, involving all the students in an individual one-to-one lesson each day of the course alongside chamber music, orchestra, and various talks and lectures. This was all led by the teaching faculty of Young-Pyo Lee (violin), Eric Wang (violin), Claire Dumas (viola and orchestra), Emmanuelle Dumas (cello), Sam Bisson (piano), Chris George (piano), Gregory Feret (percussion), and Pippa Lumbard (brass), with coordinator Caroline Finch helping all the students find their way through the timetable. The glorious weather allowed students to relax outside in the breaktimes. Each afternoon a different activity took place, and this year the beach activities included Banana Boat riding, Kayaking, Sofa rides, and a trip in a High-Speed Rib Speedboat. There was also a fun afternoon at Aquasplash, and an afternoon shopping for souvenirs. 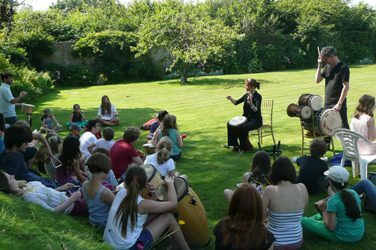 On the Thursday afternoon we were delighted to welcome visiting guest artiste Justine Hart to the island to lead a samba workshop involving all the students, and that evening the course’s teaching faculty performed for all the students at Georgetown Methodist Church. 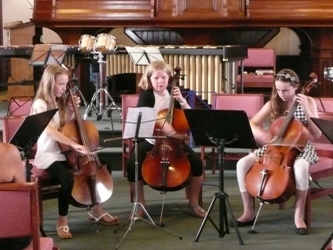 The ‘Grande Final’ of the course took place at St. Helier Methodist Centre, in which all the students performed in a variety of solos, duos, ensembles, and orchestra in front of a packed audience of family and friends. 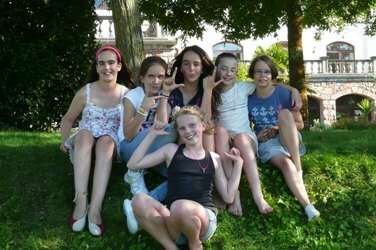 The website of www.musiqueetaventure.com has further information on the course.